Overcoming a drug addiction begins with completing rehab. At Steps to Recovery, rehab is a recognized and respected part of the recovery process. Prepare for drug and alcohol rehab programs by understanding the objective of addiction rehab, what to expect and how we can help you on your journey to sobriety. The ultimate goal of drug addiction rehab programs is to break the chemical dependence on addictive substances. True, lasting recovery can’t take place if there are still physical dependencies. Our rehab programs aim to safely remove drugs and alcohol from your body. Substance abuse can wreak havoc on the body, and addiction rehab can bring some of that to light. However, completing rehab can be a freeing and fulfilling step. Once it is complete, many patients are eager to continue on their way to lasting recovery and freedom from substance abuse. At Steps to Recovery, every individual’s rehab plan will be slightly different. That is because every individual patient is unique! 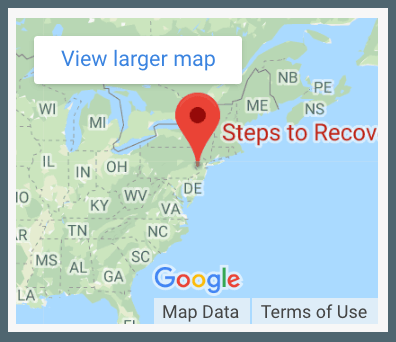 We can help you create a plan for recovery that starts with rehab, and it can be tailored to your health, age and even the severity of your addiction. The exact nature of withdrawal will depend largely on the specific addiction that you’re facing. The withdrawal process for cocaine is very different from an alcohol withdrawal, for example. However, there is an approximate timeline that most addiction rehab patients can prepare for. Within a day of quitting drugs or alcohol, most individuals will begin experiencing mild withdrawal symptoms. These are typically minor, but they will grow and build until they reach their peak. From that point, withdrawal symptoms will taper off until they disappear almost entirely. Through the drug alcohol rehab programs at Steps to Recovery, medical professionals aim to provide both comfort and safety. Withdrawal is necessary, but reducing pain and discomfort won’t make it any less effective. Certain symptoms of withdrawal can be severe, and it is important to address them immediately. With medical support, it is easier to rehab safely and comfortably. If you’re serious about tackling addiction, drug alcohol rehab programs are the best way to start. At Steps to Recovery, you can find the rehab program that fits your needs and your recovery plan. Contact us at 866-488-8684 to combat addiction once and for all.